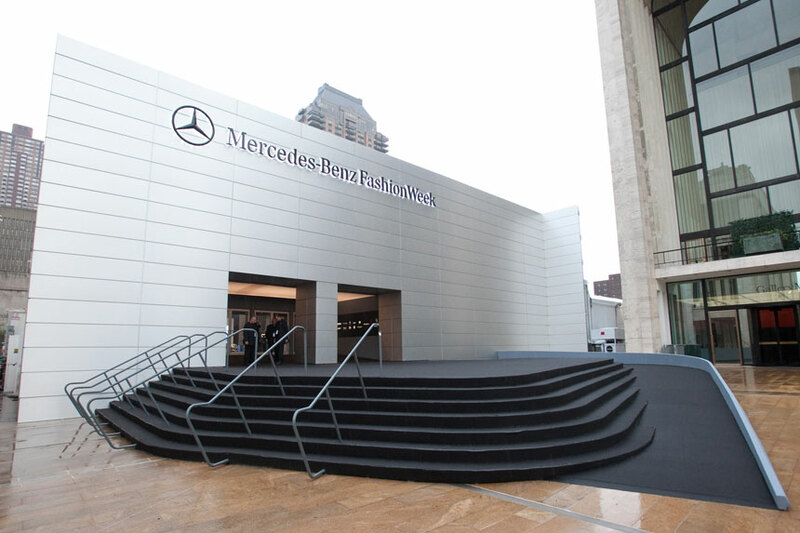 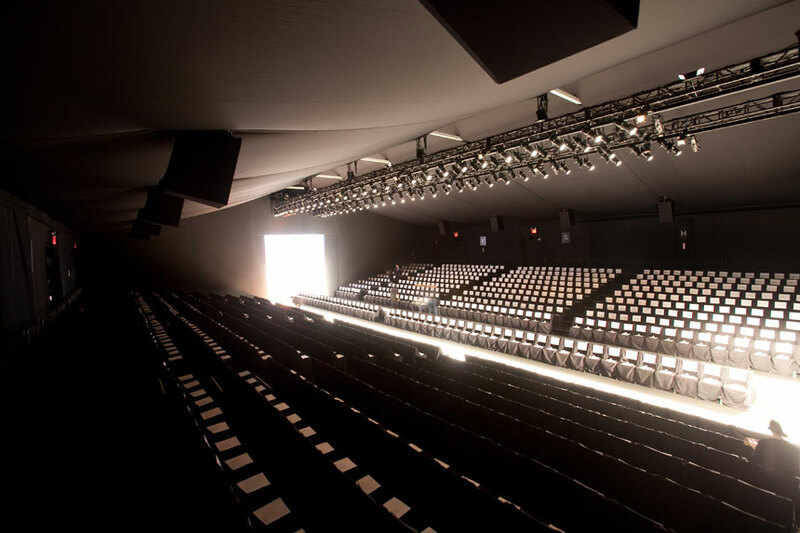 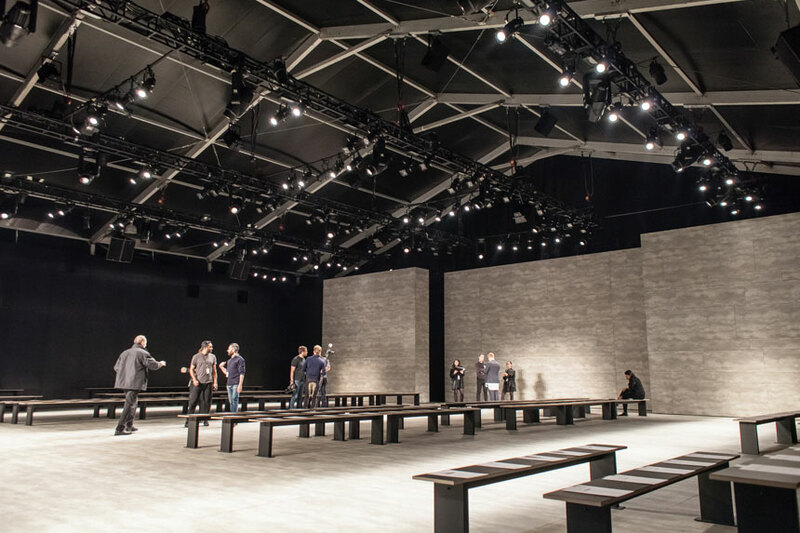 Mercedes-Benz Fashion Week is the first stop on the international event circuit providing an unparalleled level of brand exposure and as New York City’s largest media event; it draws millions of impressions and opportunities for designers to connect with the industry. 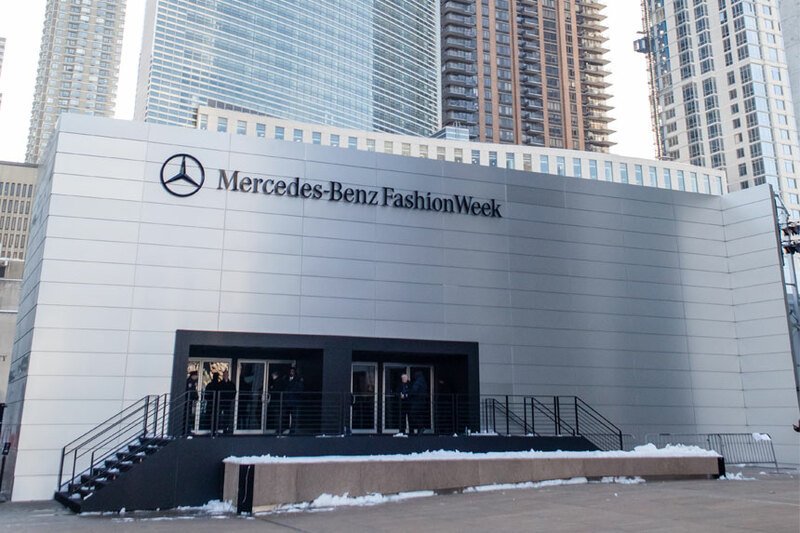 Home to top influential designers and the next generation of emerging design talent from around the world; Mercedes-Benz Fashion Week creates regional and global platforms for brands to take their businesses to the next level. 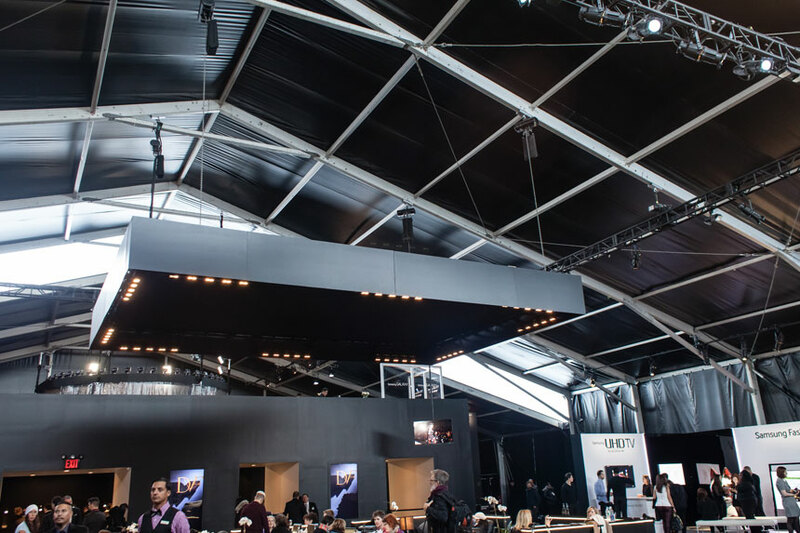 Since we have been supplying rentals for this event since 2006, we have been providing continuous updates to the venue tents to create a one-of-a-kind experience for the guests. 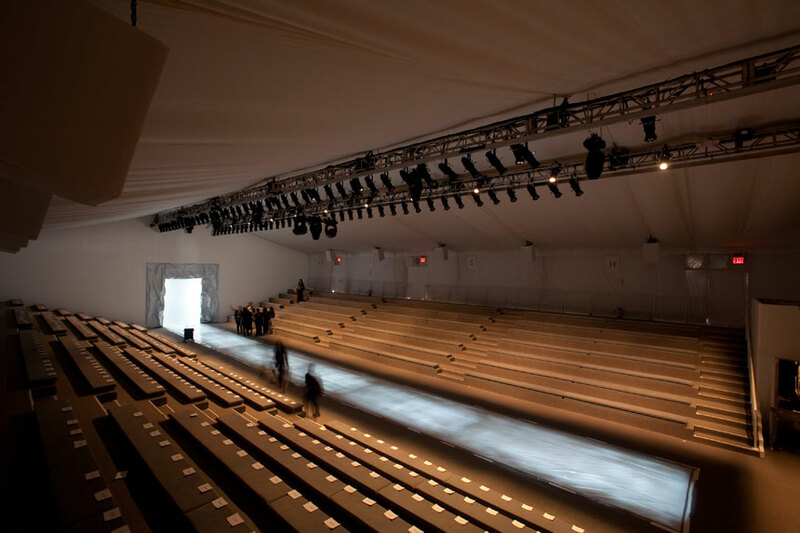 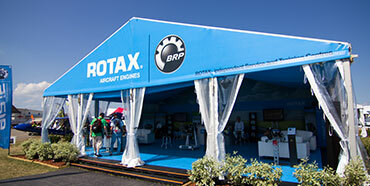 We have developed custom transition pieces between tents to create an open air feel; a custom designed aluminum composite façade for the entrance to the tents that is built on a support system 80 feet wide by 32 feet tall and wraps around the side of the tent an additional 21 feet; custom guttering systems between tents to protect from inclement weather; Sky Boxes for VIP guests to sit between venues and view multiple shows at once; and a second story emporium level sponsorship space in the main lobby tent. 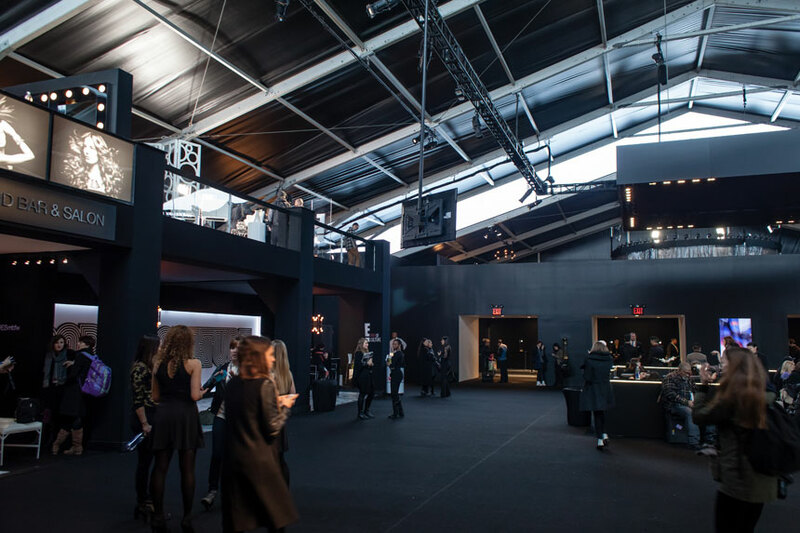 In February 2014, we modified the all-white tent design and provided 105,000 square feet of custom double sided vinyl that was white on the outside and black on the inside, creating a very different feel to the space.